IGT launches new Ellen DeGeneres slot game at several venues across the US. IGT is a leader in gaming innovation, easily creating unique gaming options for land based casinos around the world. Just recently, the company announced that a new game based on the Ellen DeGeneres Show has launched within several venues across the United States, including the MGM Grand in Las Vegas. The new game is titled The Ellen DeGeneres Show Sharing the Love Video Slots game and is featured in the CrystalCurve Ultra cabinet. According to g3newswire.com, the game was placed in several venues across the nation for players to be able to enjoy a new and exciting gaming experience based on the popular comedian. Aside from the MGM Grand Hotel & Casino Las Vegas installation, the new game has also been placed within the Harrington Raceway and Casino as well as the Coushatta Casino Resort. The public got their first glimpse of Sharing the Love during the G2E 2016 event. The cabinet is technology-rich with quality features including a curved top display with a 50-inch screen displayed images in ultra-HD 4K quality. The unit also includes a 32-inch main display of the same HD 4K capabilities. The unit is equipped with a player chair that is adjustable for comfort. Surround sound is included with an in-game camera which provides players with the fun ability to place their images into the game. Dynamic Attract was also added to this game which will engage others as they pass by, inviting them to the game. Sharing the Love includes the best content, all inspired by the Emmy Award winning daytime talk show. The game was created in a way that it captures the upbeat nature of the television show and incorporates popular segments such as “Epic or Fail” as well as “Cat Week”. 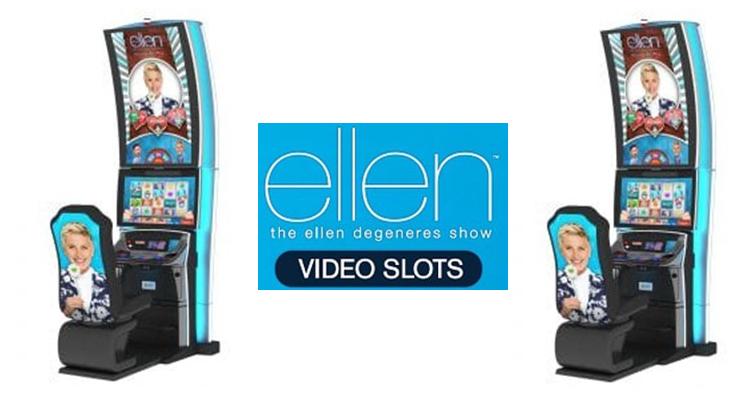 Fans of The Ellen DeGeneres Show as well as gamers who enjoy video slots are sure to have a great time trying this new IGT release at the venues listed above.